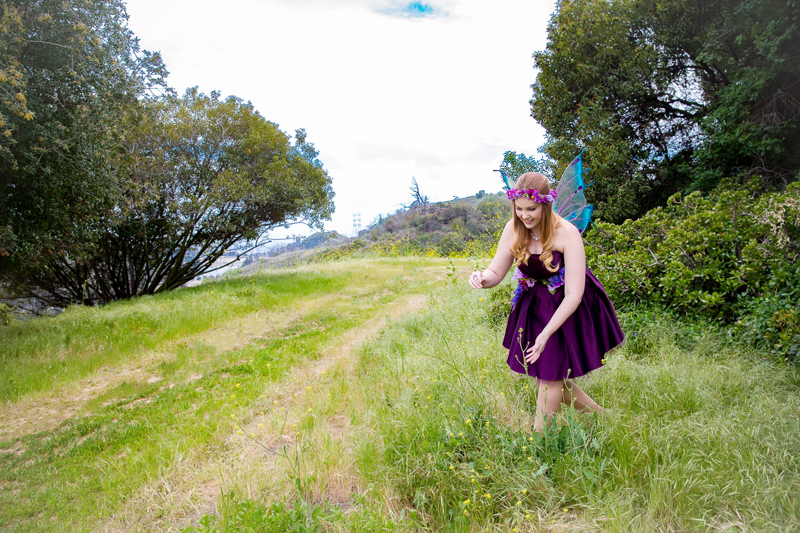 Give your child’s smile wings with a visit from an exquisite fairy birthday party character in Los Angeles or Ventura County. Let your daughter's imagination take flight! 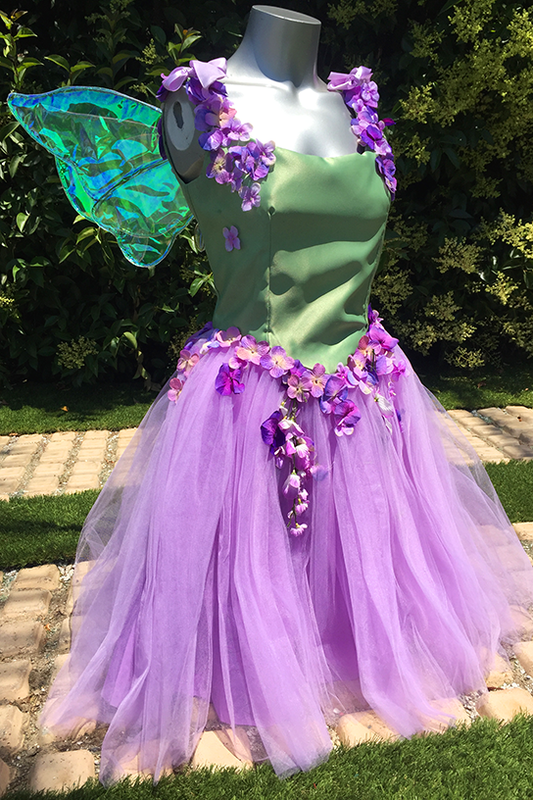 Fairies are perfect for Peter Pan parties too! Make your heart flutter with all that glitters, shimmers, and twirls! A magical garden fairy birthday party is the ultimate birthday party adventure for the girl (or boy) who wants to give their dreams wings! 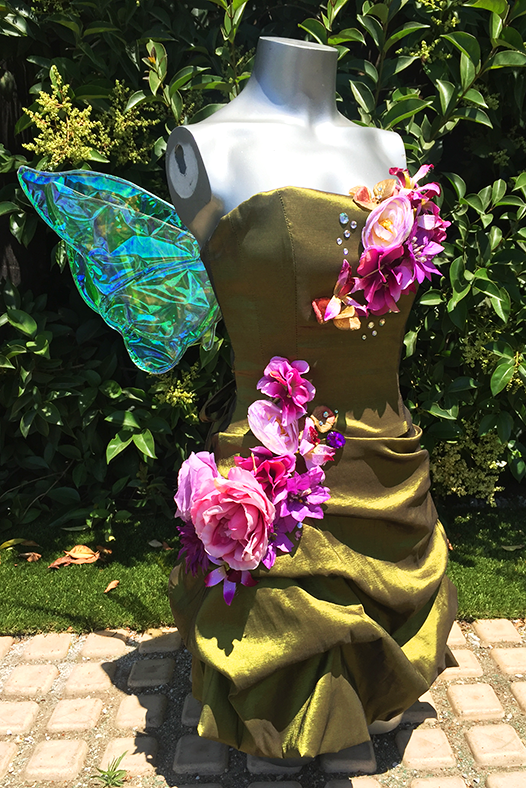 Our whimsical Los Angeles and Ventura County, California based garden fairy characters are wonderful for Garden Fairy, Tinkerbell, Neverland, Peter Pan, Spring, Garden Tea, Enchanted Forest, Pixie Hollow, Mother's Day, and even unicorn themed parties where you need an extra set of wings to keep the children waiting for a unicorn ride happy and busy before they have a turn. This party is optimally designed for 15 guests or less to be able to have enough time for our activities. If you are expecting more children you will need to add more time or at least one additional character. This party can be adapted to larger groups by breaking some of its activities in to stations, such as a fairy face makeover station, a w-air-able art station, etc. with multi-hour appearance times or adding on additional characters. A friendly frog leaps in to our whimsical scavenger hunt! Our talented performers completely customize your specific fairy birthday party based on your selections at time of reservation from a variety of child-pleasing birthday party activities. If there's extra time we'll help to gather the guests for a rousing rendition of "Happy Birthday" and photos too! You can choose two (2) fairy birthday party activities per hour per a maximum of 12 children. If you have more than 12 children attending your fairy themed party you will need to add on extra time or additional character(s). A biodegradable, eco-friendly, party favorite that always pleases! If you are expecting boys you'll want to choose this option mixed in with your activities! Kids at your fairy party will have their imaginations soar when they receive ONE of the following: balloon twisted wearable fairy wings, an extra large multi-colored butterfly wand, pirate fairy sword, their own balloon fairy wings, OR a large flower from our fairy to dance and play with.... at the end of the party, if there is time, we will spend a little extra time replacing popped balloons too! Children put on their fairy best party face when they receive their choice of shimmering fairy, flower, and fantasy inspired face or arm painting from our fairy character! This dazzling option comes complete with free acrylic gemstone and rainbow glitter dusting upgrades to make every fairy shine like the North Star! Are you expecting fairy active kids? Then you need this activity! Our fairy will mix and match from her repertoire of agility and exercise to suit the physical abilities and energy levels of your guests. These games are based on favorite fantasy creatures and the animals that live in an enchanted forest and help burn off that extra energy triggered by attending your party (or sugar!) and direct it in a positive, structured, direction. The number of games played varies based on duration of your party, which activity this option is paired with, and the attention span of your guests. If guests love a specific game we'll play it longer, if they are being a bit distracted then we'll rotate through more games to add variety. Gleaming stars and rainbows in a beautiful and fast shimmer makeover, complete with prism colored rainbow gems! A wonderful choice for young fairies aged 3-6, this endearing activity celebrates the importance of making new friends feel welcome while also teaching basic observational and reading comprehension skills. Your fairy entertainer will gather your young guests together for a cheerful illustrated story book reading about a group of fairies who are preparing to welcome a new fairy to their land with a fun-filled party. After the story is complete it is discovered that the fairies from the book were actually at YOUR location! Using the book and a list of clues your young guests will then work together to find the fairies' lost items so that your fairy character can return them safely to their owners in fairy land. Please CLICK HERE for more information on what a scavenger hunt is and how it runs. Crafts kids and wall flowers alike can create their own edible pixie dust necklaces while working on fine motor skills and crafts under the caring guidance of a fairy. Each child creates one take-home and wearable pixie dust necklace as a party favor. Children under the age of 4 will need parental help. Additional craft materials cost of $8/child for supplies. A table for the children to work off of is needed for this craft. We have a variety of talented performers who play our fairies. 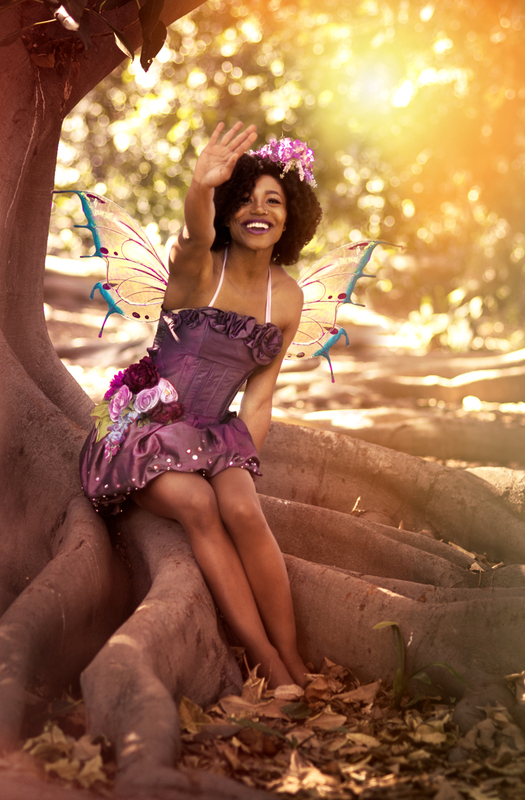 Fairies come with pretty, natural styled hair and beauty makeup and wear one of our lovely fairy costumes with wings. The most popular costumes selected by clients who desire elegance and beauty in their party photos are our green garden rose couture and lavender dewdrop satin gem fairy dresses - they were designed by women artisans expressly for the internationally famous Huntington Library and Botanical Gardens in Pasadena, California to celebrate its extraordinary rose garden collection. 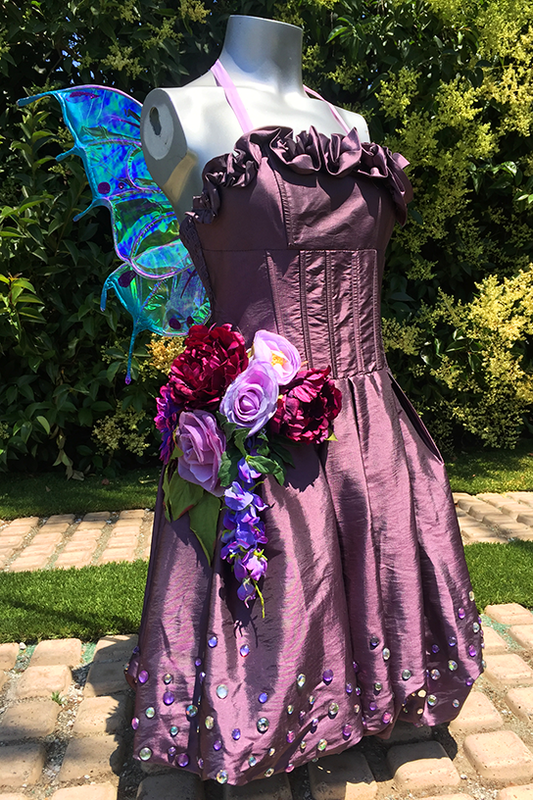 All of these gowns are made of subtly elegant shimmering satin and feature dozens of hand sewn 3D flowers, gems, and crystals. We send these costumes unless expressly requested as they are show-stopping in appearance. Fairies and pirates can be the very best friends - and the very best of choices when you team them together for parties where both boys and girls will be present. Set sail to Neverland and meet all of the "fairy" best characters! Once upon a time a snow white unicorn decided to discover what the most magical thing in the whole wide world would be. 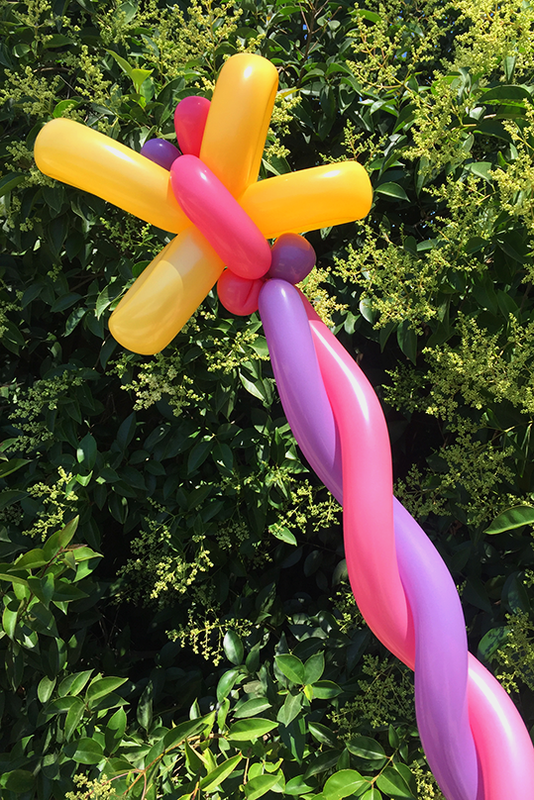 Her magical unicorn horn lead her to you to give rides to your guests and pose for some of the most majestic photos!